Webinar On Demand | Lab Inspections vs. Audits: What's the Difference & Why Does It Matter? Lab Inspections vs. Audits: What's the Difference & Why Does It Matter? An inspection is a snapshot of the physical conditions observed at the site at a particular point in time, whereas an audit is a comprehensive evaluation of the entire program. Learn what it takes to manage an effective laboratory inspection and audit program in an effort to maintain compliance. 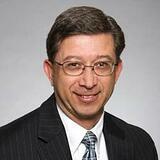 Tony Gemmellaro is an EHS Manager/Senior Consultant for Triumvirate Environmental. He has over twenty-five years of experience in the biotechnology and biopharmaceutical industry, public sector, healthcare and academic environments. Tony has demonstrated ability to implement corporate EHS standards and programs, utilizing strong knowledge of EHS principles, management systems, hazard prevention and control, laboratory safety practices, and educational awareness. Tony has been an adjunct faculty member at Anna Maria College, Northeastern University, and at the University of Phoenix. He earned a BS degree in biology from Boston University and a MS degree in biological sciences from the University of Massachusetts – Lowell.